Home Photos Order Form Media & News Fabrics Quilts for Everyone! Technically it is still Spring, but once June hits it feels like summer to me! Warm weather, beaches, and of course graduations. 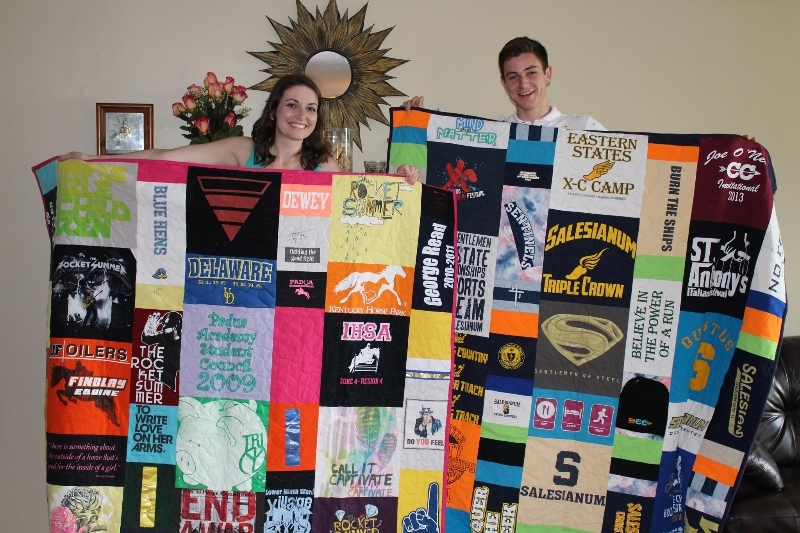 Many graduation quilts will be given as gifts to lucky graduates in the upcoming weeks. 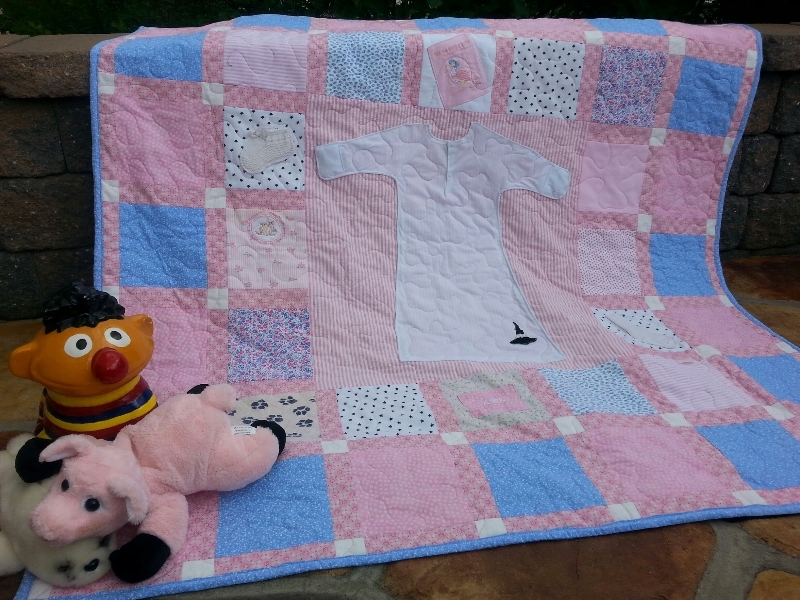 Below are some pictures of graduation quilts, baby quilts,and testimonials from VERY happy customers. I just love when I receive pictures and words of thanks from happy customers! Feel free to send any pictures that you have to me at the email below. As always, if you are interested in a Memory Quilt, for any occasion, please contact me so that I can add you to the list. Currently, I have 21 quilts on my schedule. Turn around time is about 4-5 months, so please plan accordingly. "It is HEAVENLY! I adore the stitching, all the choices, and the way you feature the pieces from Katharine's clothes, surrounded by the sweet backing fabrics. I also love the witches hat and the initials, plus the cute little extras: the booty from South Africa and an early tube sock. This quilt is tremendous." "Molly, can't thank you enough! These were a HUGE hit...Not only do you do craft a beautiful, top-quality quilt, but the process of "building" the quilt together is what makes it extra special. Thank you!" The process of "building" a quilt together takes time, but is so great when the quilt is finished! Their mom and and I made the BEST Design Team! Click here to read more testimonials. Each quilt I make is larger than any of my competitors. My lap quilts are some of the largest on the market! No one likes a lap quilt that is too small. My lap quits are made so you can literally wrap yourself in your memories. My twin size is large enough to fit on any extra long dorm bed. My full size quilt is close to a queen size! I do this so that each quilt will look amazing on any bed. Mattress depths can vary in size. So I make my quilts large enough to fit any of them! 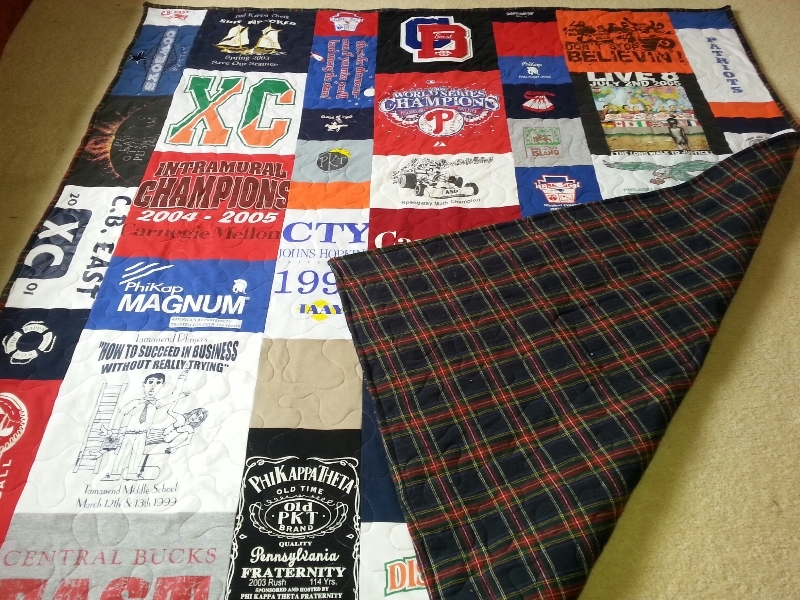 each is created with a quilt style that best represents your flair. I offer 5 styles. each quilt contains fabrics that are of the highest quality, color & type chosen by you. 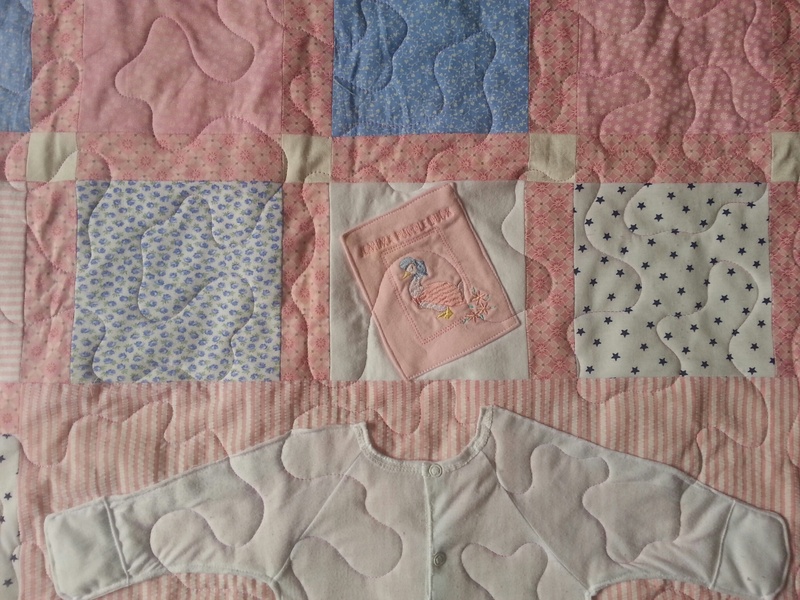 each quilt is made using expert sewing techniques and machines. 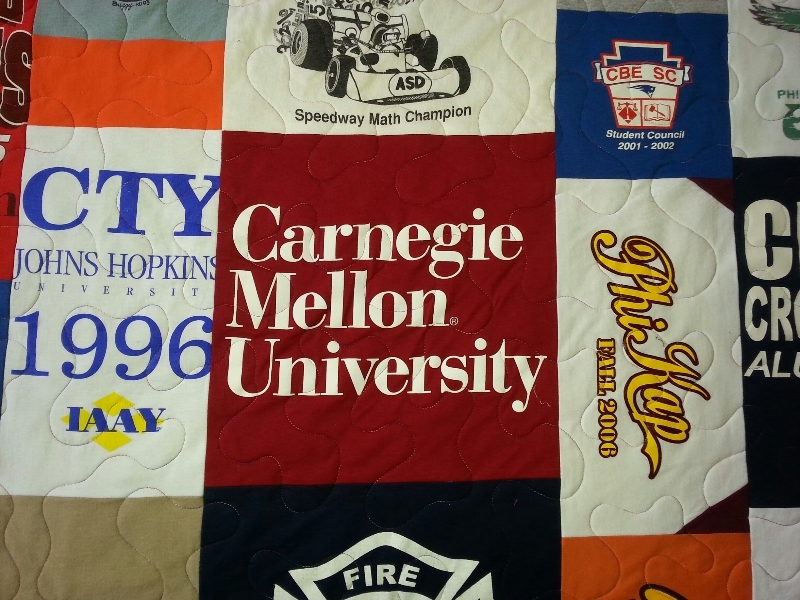 From Central Bucks East to Carnegie Mellon University, this Modern size lap quilt was made for an older graduate. 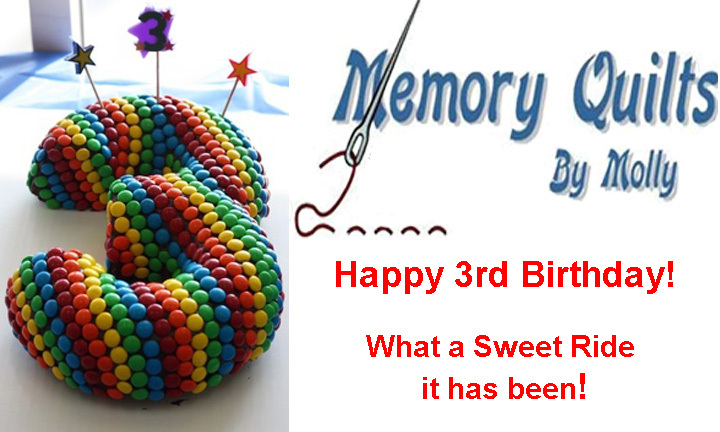 You are never too old to receive a Memory Quilt! 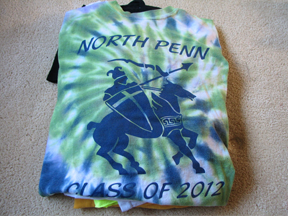 Add his frat shirts, his Philadelphia sports shirts, and his running shirts and a sensational story is told! Recycling never looked so fine! 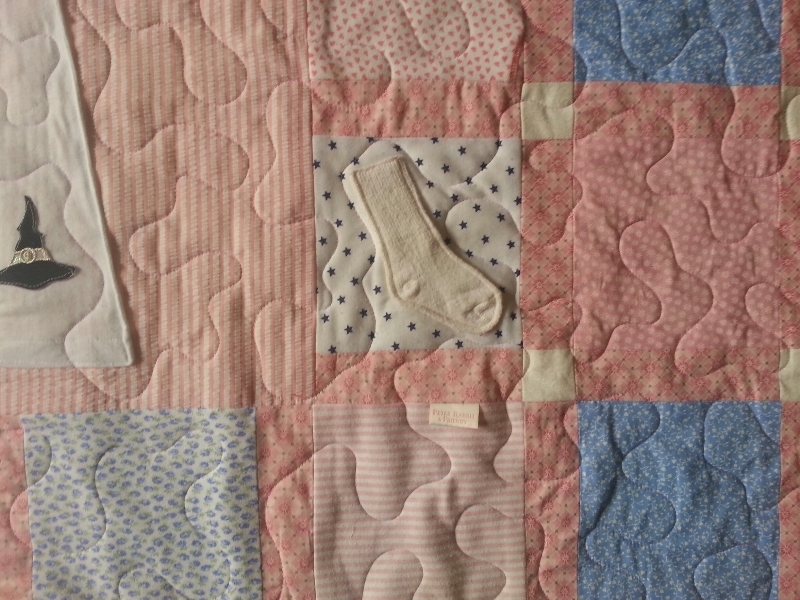 a new style of quilt known as the Staggered Quilt was introduced. You now have 5 styes to chose from. No one offers this many styles. All to make your custom, handmade Memory Quilt truly unique and truly a work of art!